The A350-900 is the first A350 model and seats 314 passengers in a 3-class cabin 9-abreast layout. It has a standard design range target of 15,000 km (8,100 nmi). 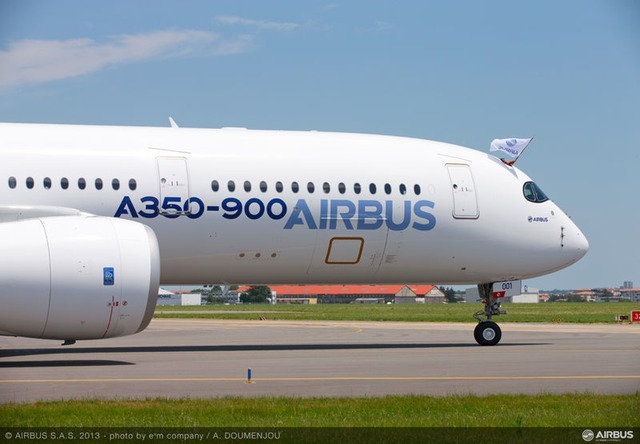 Airbus says that the A350-900 will have a decrease of 16% MWE per seat, a 30% decrease in block fuel per seat and 25% better cash operating cost than the Boeing 777-200ER.